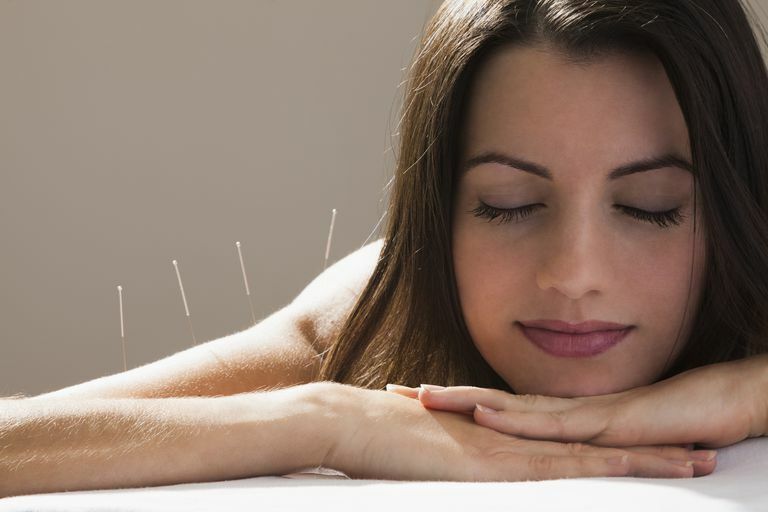 Acupuncture treatments for fibromyalgia (FMS) and chronic fatigue syndrome (CFS or ME/CFS) are becoming much more common, either alone or as a complementary therapy. Chinese acupuncture dates back thousands of years as traditional Chinese medicine (TCM) but only caught the attention of the American public in the 1970s. The National Institutes of Health formally recognized acupuncture as part of mainstream medicine in 1997, saying the procedure is safe and effective at treating a wide range of conditions, including fibromyalgia. Some people are hesitant about it because they don't understand it or think it's not "real." Others worry that it'll hurt too much. Not only is research showing that it makes changes to how the body functions that can be beneficial to those of us with FMS and ME/CFS, many people with these conditions get acuptuncture treatments regularly. And as for pain? It's generally easy to tolerate even those who are ultra sensitive to touch. Multiple studies from both the East and the West suggest that acupuncture is effective for treating FMS. In the West, it hasn't been studied as much for ME/CFS, but many Chinese studies suggest it's effective for that condition, too. Meta analyses of acupuncture for both conditions conclude that it appears to be a beneficial treatment, but that further high-quality research is needed. As acupuncture has moved more into the mainstream, many insurance companies have added it to their policies, and some doctor's offices and clinics have begun to offer it at their facilities. Make sure you know the details of your insurance policy before assuming it will cover acupuncture treatments. According to TCM, acupuncture works by correcting energy pathways through your body. This life-force energy is called qi or chi (pronounced "chee"). Qi flows through meridians in the body, each of which corresponds to an organ or group of organs. If you have too much, too little, or blocked qi, TCM teaches that it will create health problems. If this is hard to understand, picture a stream. If something blocks the flow of water, pressure builds up behind the blockage and water can go spilling out over the banks. Too much water can lead to floods, while too little water can kill off plants and animals that live there. The purpose of acupuncture is to keep the stream flowing free and at desired amounts. Don't buy it? That explanation doesn't hold water with Western researchers, either. While multiple studies have shown that acupuncture does have the effects taught by TCM, researchers can't pinpoint exactly why it has the effects. Studies suggest that it may produce complex changes in the brain and body, possibly by stimulating nerve fibers that then send signals to the brain and spinal cord to release certain hormones that block pain and makes you feel better. A study using images of the brain showed that acupuncture raises your pain threshold—which is low in people with FMS and ME/CFS—and therefore gives you long-term pain relief. One British experiment using magnetoencephalography (MEG) brain scans showed that acupuncture actually can deactivate part of your brain's pain matrix. When you consider treatment options for FMS and ME/CFS, or any health condition for that matter, it's important to weigh the potential benefits against the potential risks. Licensed practitioners in the United States are required to use sterile needles and dispose of them after each use, but this is not required in all parts of the world. When you go to an acupuncturist, he/she will likely take your pulse at several points along both wrists. Don't be surprised if you're asked to stick out your tongue; in TCM, the tongue's shape, color and coating are important diagnostic tools. The needles only go in about a centimeter. After inserting them, the acupuncturist will twist or gently wiggle them to get them firmly into the proper point. You might get a muscle twitch or brief ache, or you might feel nothing at all. Once all the needles are in (the amount used varies), you'll stay in place and rest for anywhere from 15 minutes to an hour. You'll probably be extremely relaxed and could even fall asleep. Afterward, the acupuncturist will pluck out the needles, which doesn't hurt at all. A few hours after your first treatment, you could feel some aches around your body. This is normal, and practitioners say it's a sign that the treatment is working. The aches don't typically last long, and over-the-counter pain relievers will help. It's common to sleep more deeply than usual that night, which is a definite bonus for anyone with FMS or ME/CFS. Your doctor or clinic may be able to refer you to a qualified acupuncturist, and you can also check with your insurance company to see if it has a list of practitioners that participate in your health plan. Most states require acupuncturists to be licensed, so look for the title "LAc." Journal of Alternative and Complement Med. 2010 Apr;16(4):397-409. "Traditional Chinese Medicine for treatment of fibromyalgia: a systematic review of randomized controlled trials." Journal of Rehabilitative Medicine. 2008 Jul;40(7):582-8. "A randomized controlled trial of acupuncture added to usual treatment for fibromyalgia." 2007 University of Maryland Medical Center. All rights reserved. "Chronic Fatigue Syndrome"
Zhen Ci Yan Jiu. 2009 Dec;34(6):421-8. "A meta analysis on randomized controlled trials of acupuncture treatment of chronic fatigue syndrome."